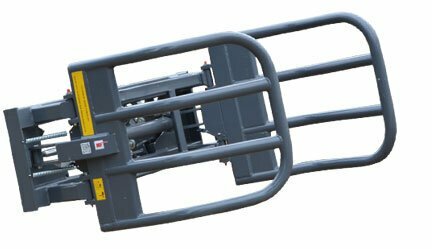 The Euro hitch bale grab is a heavy duty implement for front end loaders with a Euro hitch. 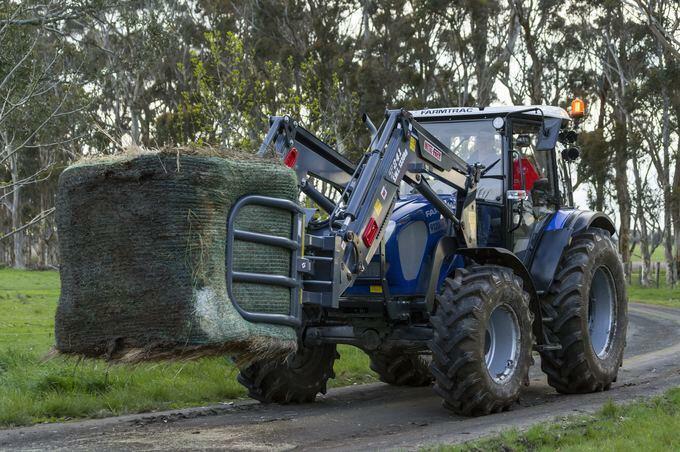 The bale grab has a good weight to ensure stability and high performance in difficult working conditions. 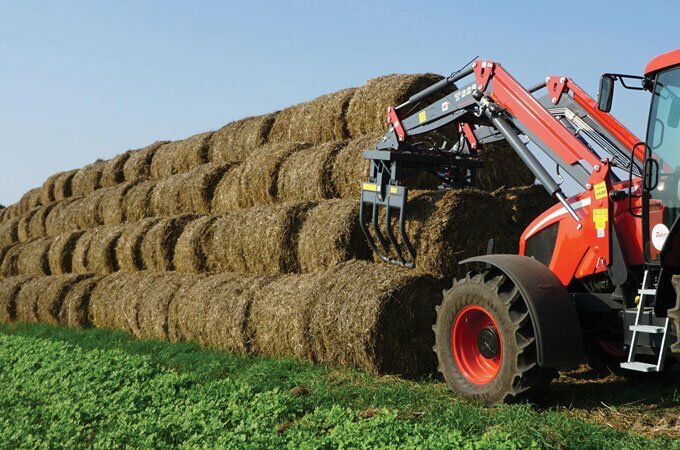 It has a superior grip when working with heavy bales and the floating arm system enables the grip to clear the bale stack without damaging adjacent bales. 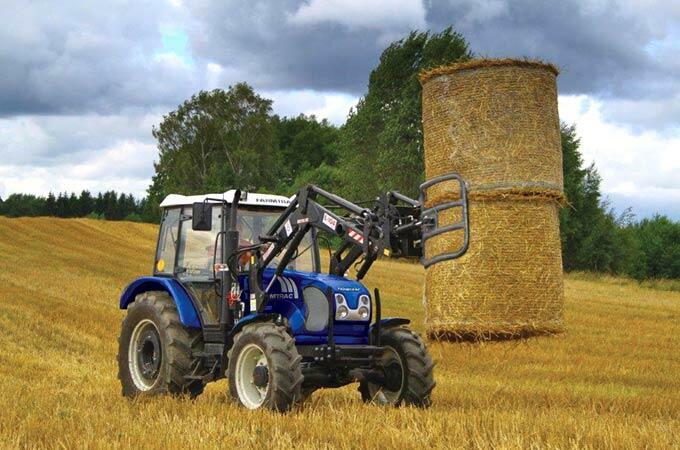 Manufactured in Europe, this bale grab will fit most tractors with Euro hitch loaders. Farmtrac 690DT 90hp with bale grab. 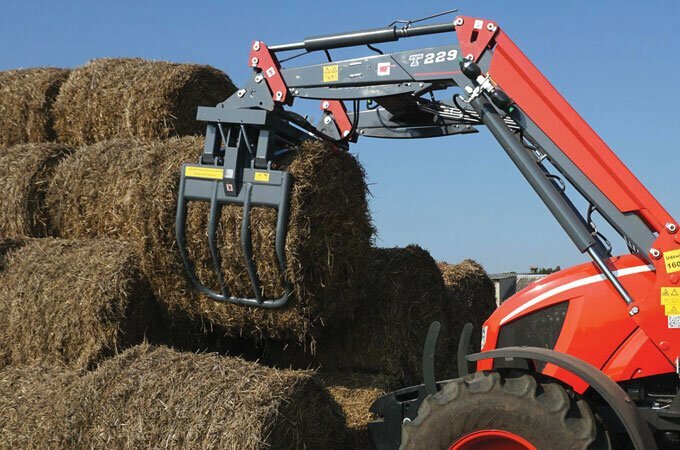 The advantage of a bale grab over a bale spike is that it contains the sides of the bale, providing additional protection for loosely held bales. MFBG900 Euro hitch heavy duty bale grab. 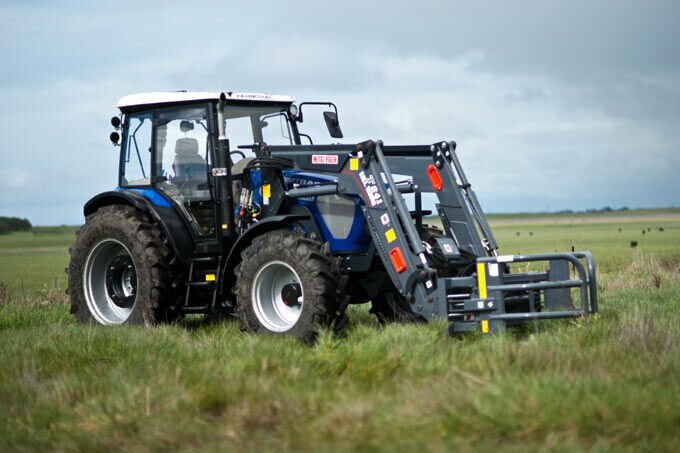 The Euro hitch bale grab has a two year manufacturer’s warranty and is fully supported by SOTA Tractors. Farmtrac 9120DTN 110hp with heavy duty bale grab. The Euro hitch heavy duty bale grab on a Farmtrac 9120DTn. 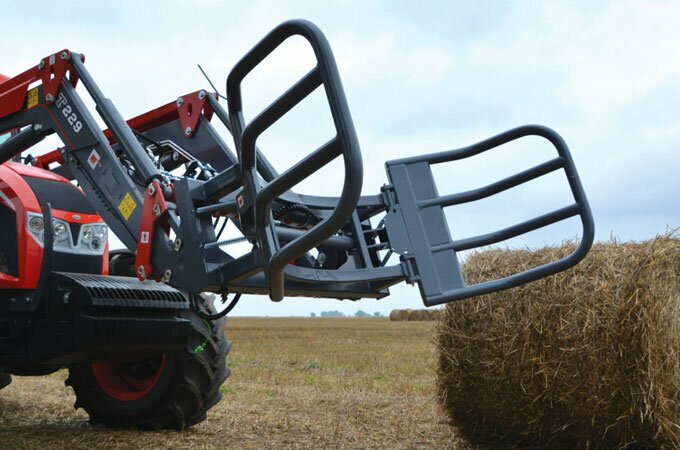 MFBG900 Euro hitch bale grab – heavy duty.